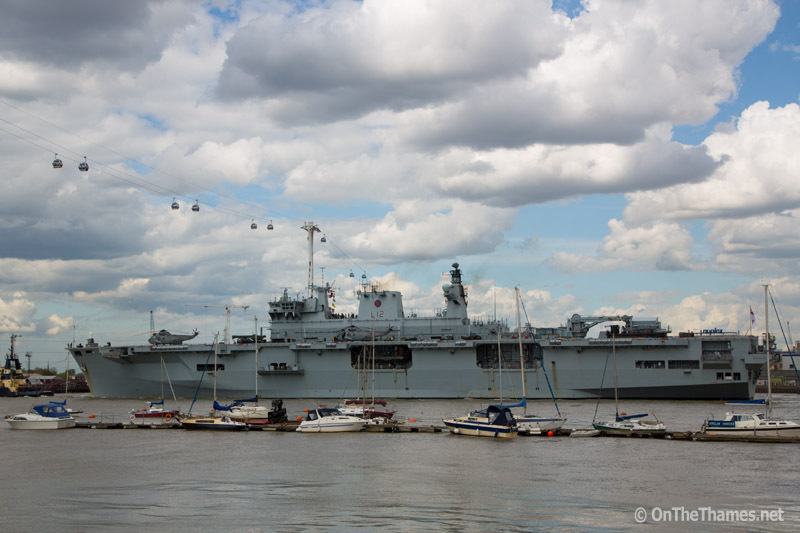 HMS OCEAN sailed up the Thames yesterday afternoon for a five day visit to Greenwich. 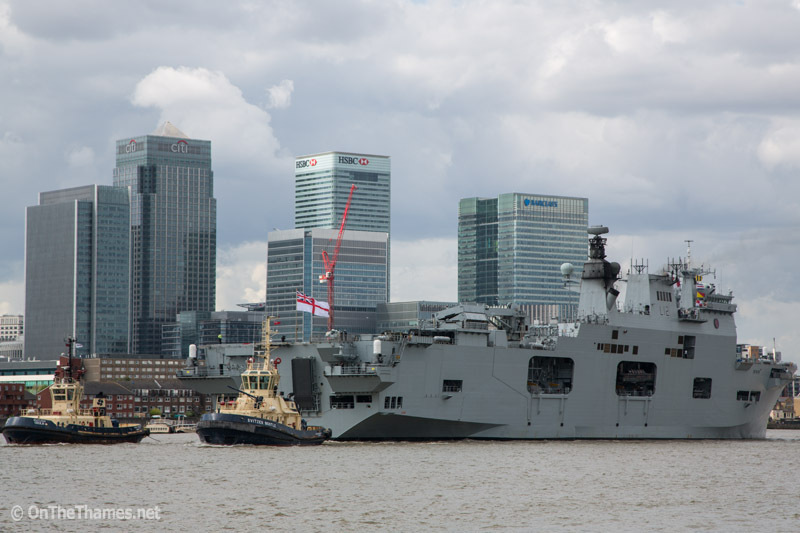 The navy's biggest warship arrived at her mooring at Greenwich Ship Tier, near Greenwich Pier, at about 3pm. 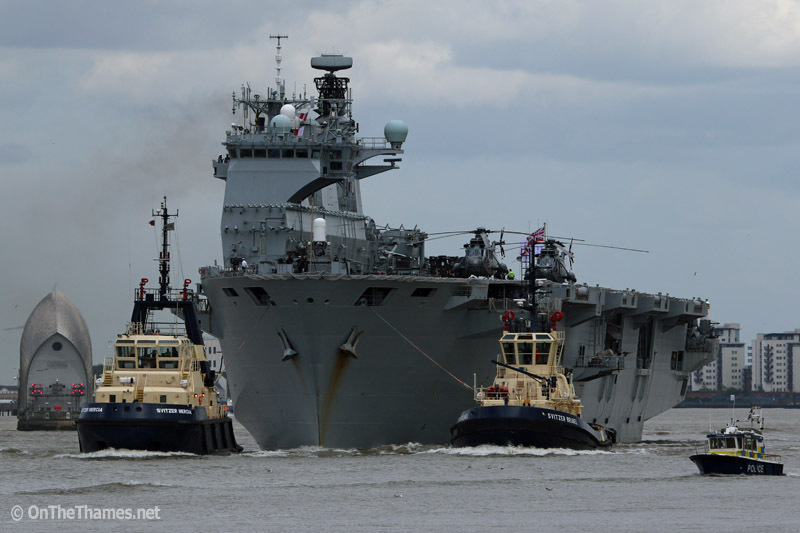 The visit by the Mighty O comes just a week after the visit of Daring-class HMS Defender. Whilst the vessel is in the capital, she will be used as a platform for the Victory in Europe (VE) Commemoration Weekend. 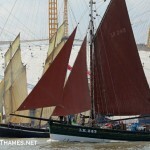 She will also host the prestigious Royal Navy Peregrine Trophy Photography Awards. 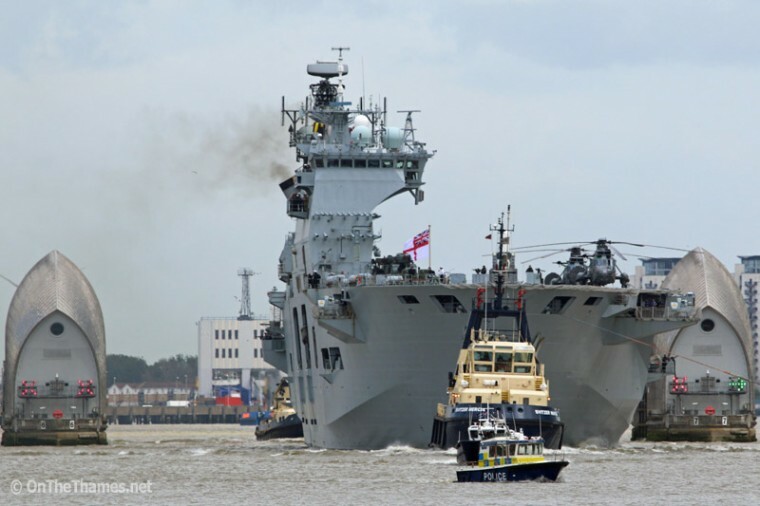 It's HMS Ocean's first visit to London since her two visits in 2012 when she played a part in providing security for the capital during the Olympics. 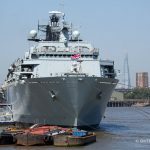 Ocean has just had a major refit at Devonport and will take over from HMS Bulwark as the Royal Navy flagship next month. 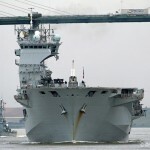 HMS Ocean transits through the Thames Barrier. She is 203 metres long and has a beam of 35 metres. She was turned around in Blackwall reach and towed to Greenwich Shipping Tier mooring. 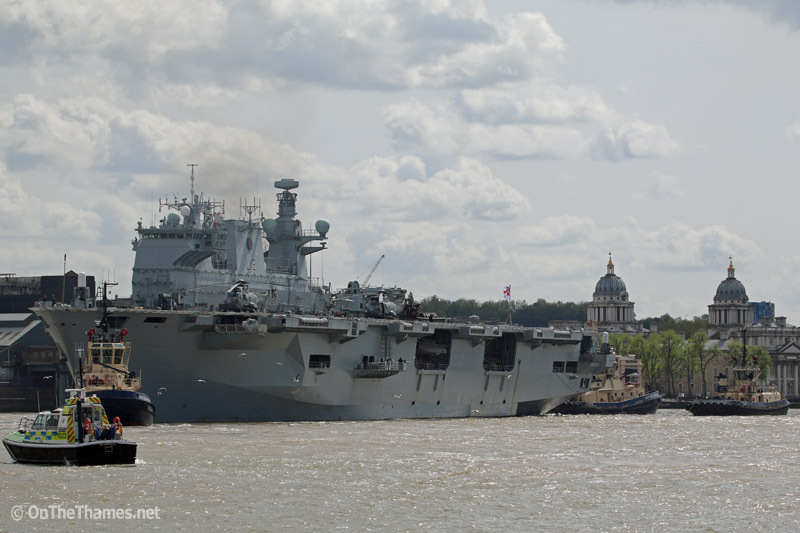 HMS Ocean passing the iconic twin domes of the Old Royal Naval College at Greenwich. She is due to depart on Monday morning at 6.1oam.